The face of residential roofing is constantly changing with new products and roofing options ranging from higher wind rated shingles, impact resistant shingles, to reflective shingles and roof accessories offering better energy efficiency. Holden Roofing Dalas has been installing composition shingles since 1961. Our professional representatives will thoroughly explain the variety of options available for your project. With over 400 experienced installers, Holden Roofing can service your needs in a timely fashion. We are proud to be a Platinum Preferred Contractor with Owens Corning, a distinction held by less than 3% of roofing contractors in the United States. THE WEATHERGUARD HP LINE OF SHINGLES CARRIES A LIMITED LIFETIME MANUFACTURERS WARRANTY AS WELL AS A 130 MPH WIND WARRANTY. THESE SHINGLES ALSO CARRY A CLASS 4 IMPACT RESISTANCE RATING, THUS QUALIFYING FOR AN INSURANCE PREMIUM DISCOUNT THROUGH SOME CARRIERS. *Homeowner should check with their insurance company to see if they qualify. See actual Owens Corning warranty for complete details, limitations and requirements. Although composition shingles are the most popular, Holden Roofing professionally installs a wide variety of other residential roofing products. We have experienced and specialized tile roofing crews installing a wide variety of clay and concrete tile roofing products. We also professionally install metal roofing systems from manufacturers such as Decra, Metro, Future Roof as well as various types of Standing seam and R-Panel metal roofing systems. Property owners looking for a custom roofing solution are turning to specialty, or designer shingles which have increased in popularity due to their higher aesthetic quality, increased durability, and higher wind ratings. Holden Roofing is certified to install the complete line-up of specialty shingles manufactured by Owens Corning, GAF, Certainteed, TAMKO, and Atlas. Holden Roofing professionally installs these roofing systems according to manufacturer’s specifications, which is required to attain the increased warranties offered with these specialty products. 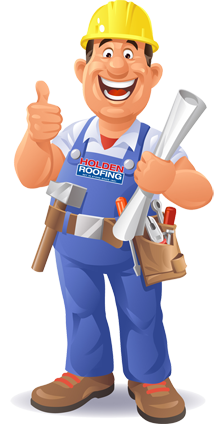 All roof systems installed by Holden are professionally hand nailed, prolonging the life of your new roof. Holden Roofing is one of the few companies in the Dallas area with tile roof installation experience. We have experienced and specialized tile roof crews that install a wide variety of clay and concrete tile roofing products. Holden Roofing also professionally installs a variety of custom metal roofing products from manufacturers such as Decra, Metro, TAMKO, Mueller, and Arrowline. Metal roofing offers the look and durability of slate or tile while being a light weight alternative for many homes not structured to carry the weight of true slate or tile. Many metal roofing styles carry increased wind ratings and are engineered to provide Class 4 impact resistance. Feel free to call Holden Roofing today and discuss metal roofing options.